We know that you’re probably tired of those poorly-made, awful work overalls that you’ve forced yourself to get used to. You know the ones - the ones that you grab at the last minute, the day before you have your next job? No more of that, because now you can c ... (see full details) (see specifications) #TPWTB0A11AP015. We know that you’re probably tired of those poorly-made, awful work overalls that you’ve forced yourself to get used to. You know the ones - the ones that you grab at the last minute, the day before you have your next job? No more of that, because now you can choose the Timberland PRO Men's TB0A11AP 015 Jet Black Insulated Water-Resistant Bib Overalls. These Timberland PRO overalls don’t disappoint! They’re made with rugged 12-ounce cotton canvas and a durable water-repellent finish for top performance in any weather condition. Knee overlays, a pocket binding, and back-hem kick plates in rugged cotton and nylon all offer reinforcement where you need it most, meaning you'll have strong work pants. They're fully-lined in100 gram polyester with quilted nylon that provides extra warmth and protection in the next downpour. In addition to staying dry, warmth is also important. With these insulated overalls, you'll get both of those features! For ease of moving, a crotch gusset in the men's overalls lets you bend, kneel, and reach with comfort and security. (No split seats anymore!) Also, heavyweight adjustable elastic suspenders and a front bib pocket are featured for added convenience. Easy-access zippers and a built-in hammer loop to maximize productivity, too. As mentioned, these are suitable for all weather conditions because they’re waterproof! The breathable, reinforced water-repellent outer layer of the insulated overalls resists moisture penetration, helping to you stay dry all day long. So go out there in the rough elements, but guarantee that you’ll stay as dry as possible by wearing the Timberland PRO Men's TB0A11AP 015 Water-Resistant Insulated Jet Black Bib Overalls! Order a pair from Working Person's Store today, and you'll have the high quality men's workwear you need. 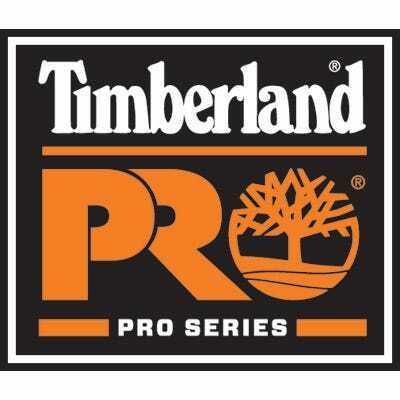 Timberland PRO Overalls: Men's TB0A11AP 015 Black Insulated Bib Overalls is being added to your cart.